Your solution provider for your coating and abrasive blasting needs. in the field and from our painting and coating facility in Sterling Heights, MI. 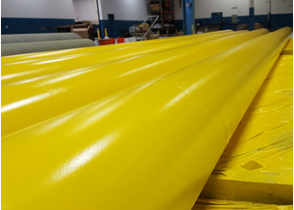 Our shop features two brand new paint booths that can service pipe, steel, and equipment up to 60' long x 18' wide x 14' tall. 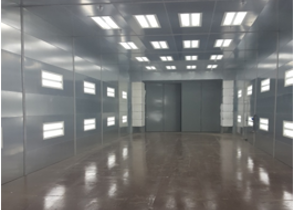 The facility is equipped with a state-of-the-art air filtration system to temper air input for optimum paint application conditions, while meeting stringent EPA environmental requirements. Adherence to Stringent Safety Standards - enables onsite field work at leading automotive, power & energy, and heavy industrial companies. Field Services - industrial blasting, coating / painting, cleaning and fireproofing. Shop Services - industrial blasting, coating / painting using state-of-the-art equipment. Quality Control & Quality Assurance - strict adherence to NACE and SSPC standards, certified professionals, union certified CAS professionals, and detailed inspection logging capabilities. Please give us a call at (248)-547-8616 to learn more.